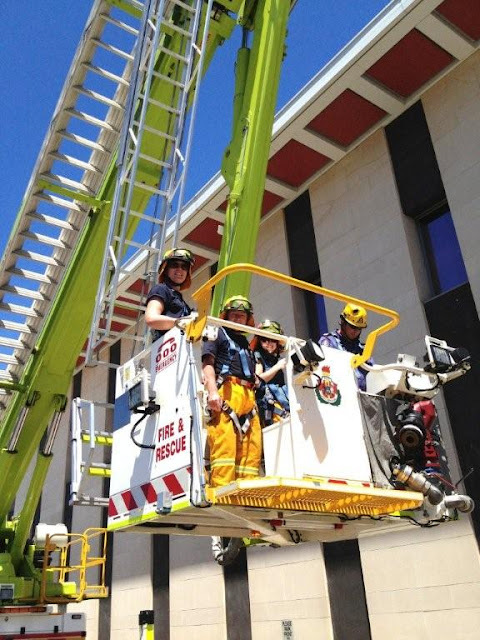 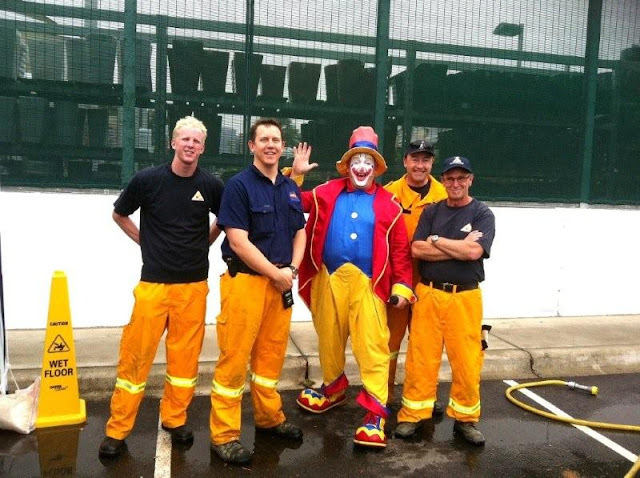 The ACT Rural Fire Service has been super busy out and about in the Canberra community. 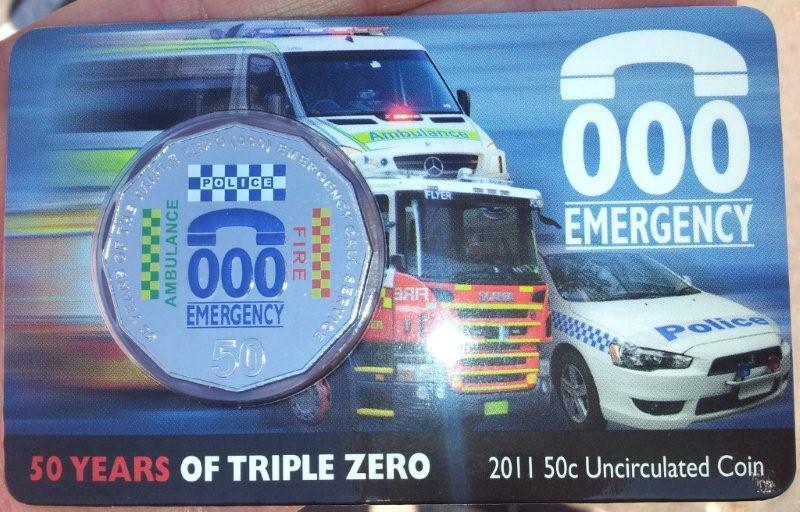 The first event was at the Royal Australian Mint celebrating the launch of the coin for the anniversary of the '000' service. 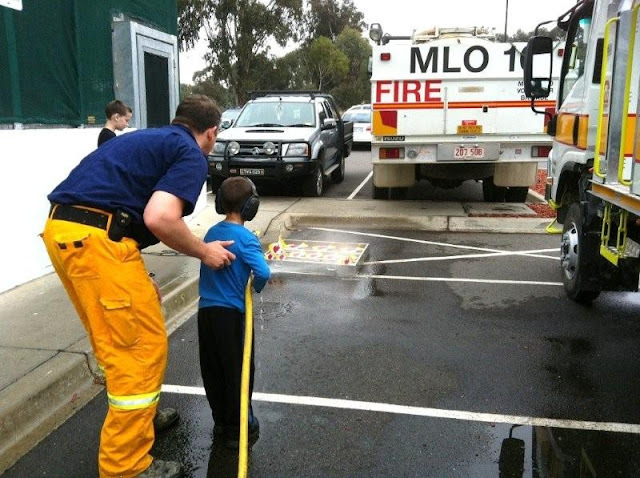 Molongolo Brigade has been busy with the school fete's at Radford and the Belconnen Family Fun Day. 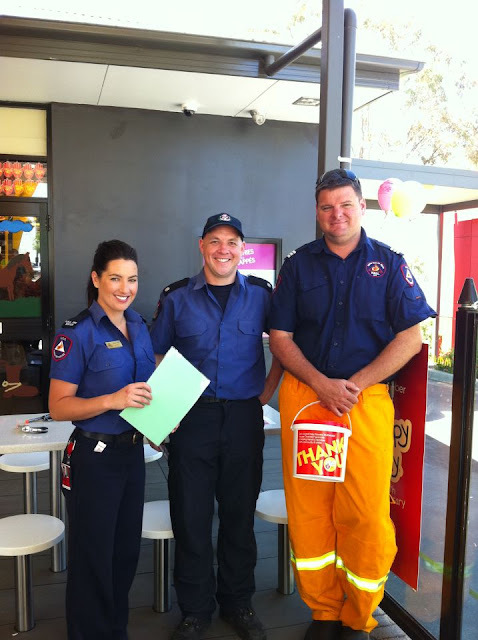 On Saturday 12th November, all of the ACTRFS joined forces to assist McDonald's with McHappy Day to raise funds for Ronald McDonald House. 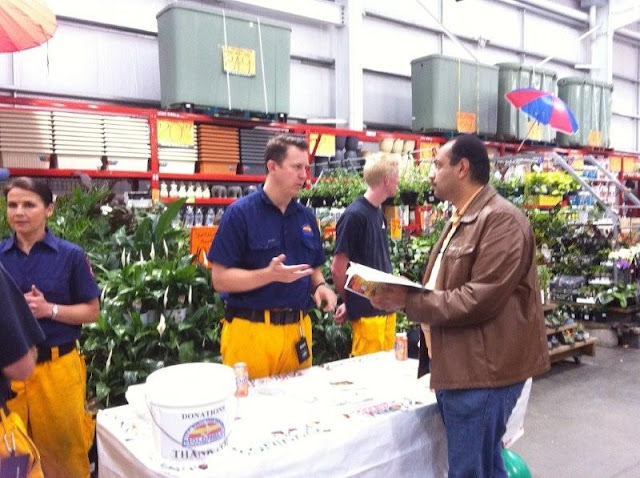 It was great to see our members at the Gungahlin, Charnwood, Weston, Erindale, Tuggeranong, Lanyon and Weston stores! The Molongolo crew with a potential new recruit? 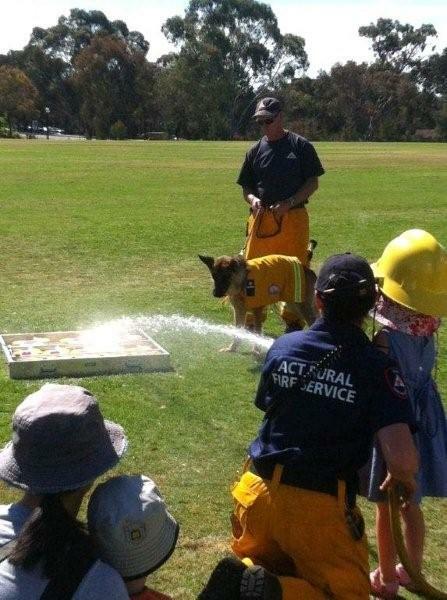 The Prepare, Act, Survive message getting passed along. 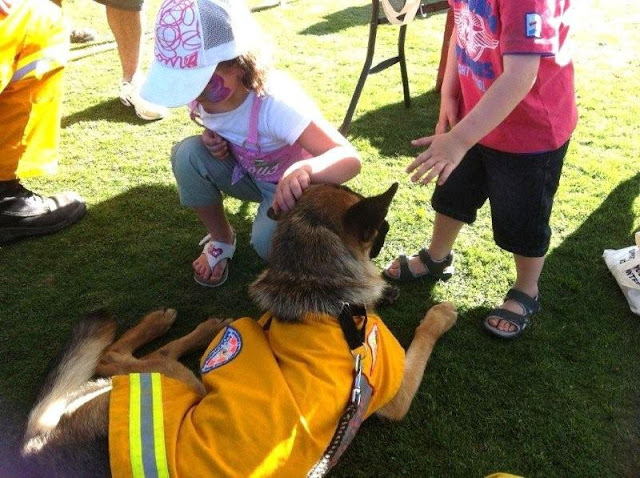 Shylah keeping a close eye over the flame game. Shylah taking a break from all the community engagement activities she has been involved with. 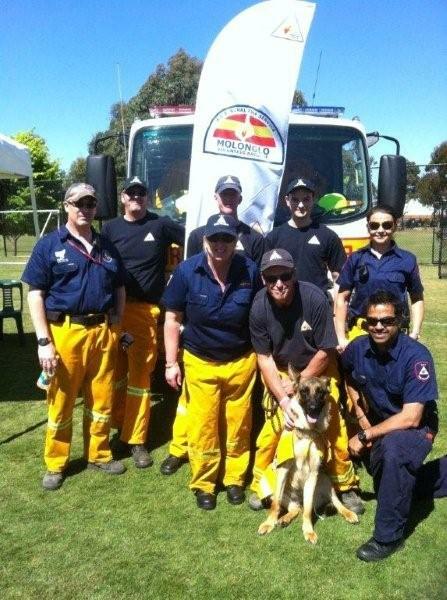 The Molongolo crew at the Radford College fete. 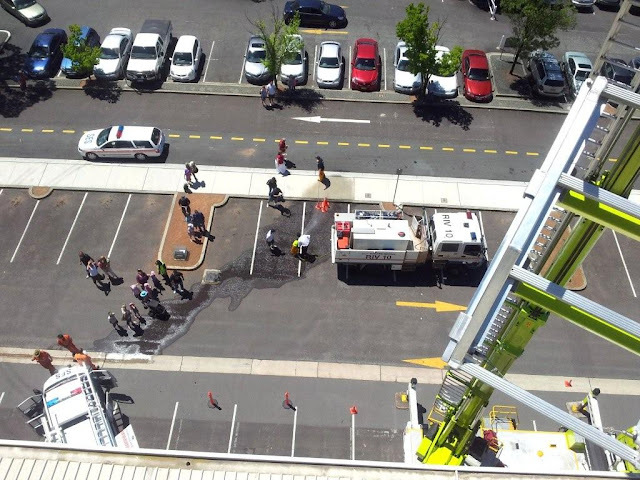 A birds eye view of Rivers 10 and kids playing the flame game. 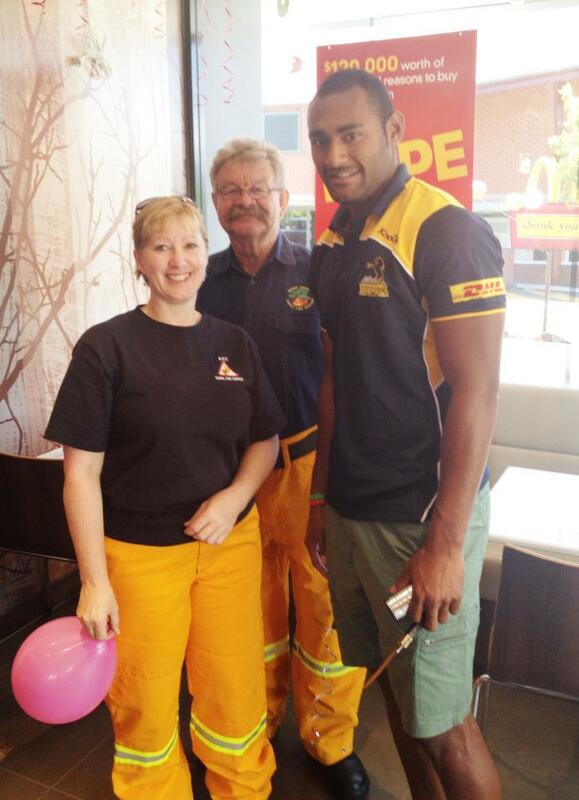 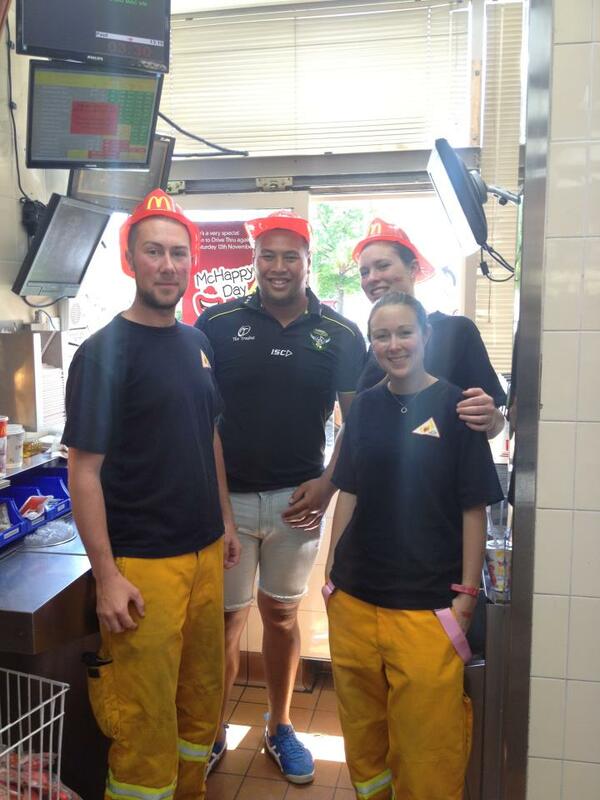 Juliane & Laurie from Guises Creek along with Tevita Kuridrani from the Brumbies Rugby Union team helping out at the Tuggeranong McDonald's. Nicky, Steve and an ACT Fire & Rescue colleague raising much needed funds. 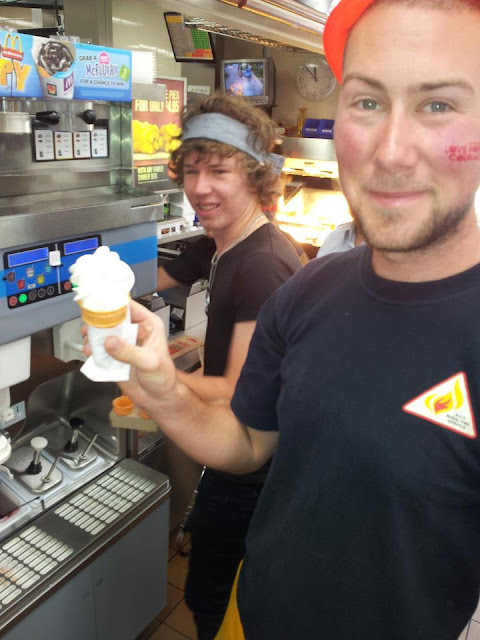 Tom from Rivers 'testing' the product before it goes out. Great pictures and lovely photography.